According to Lonely Planet, the Northern region of Wales (called “North Wales”) is one of the top ten regions in the world to visit in 2017. Ranking number four on Lonely Planet’s “Best in Travel 2017” list, North Wales boasts the UNESCO World Heritage castles of King Edward I, Snowdonia National Park, the highest mountain peak south of the Scottish border and a host of celebrated adventure attractions. After years of investment in tourism, North Wales has earned its place among Lonely Planet’s much-anticipated list of the world’s hottest trends, destinations and experiences. 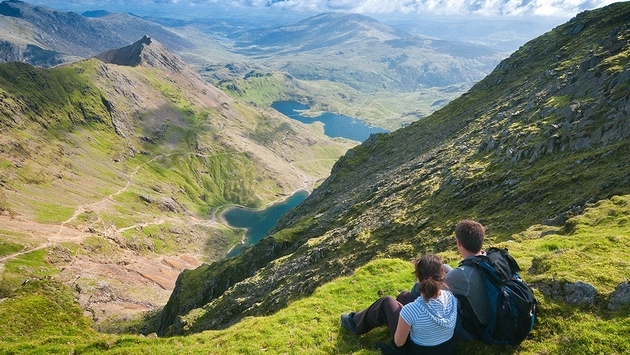 The experts at Lonely Planet were impressed by the green-scaping of a former slate mining area in North Wales, now cleaned up and reinvented as home to world-class attractions like Zip World, which offers the longest and fastest zip line in Europe and Surf Snowdonia, the world’s first inland surf park. Nearby, Bounce Below offers underground “trampolining” in a 176-year-old, previously abandoned slate mine, the size of the dome at St. Paul’s Cathedral. 1. Lynott Tours — Visit the best of North Wales on this escorted, private tour with visits to the Italianate-style village of Portmeirion and Snowdonia National Park. 2. Simply Nice Tours — On this 8-day North Wales Tour, you’ll explore Caernarfon Castle and sit in on a rehearsal of an award-winning Male Voice Choir. 3. Special Group Tours — Step back into time on this North Wales tour of Celts, Castles & Gardens with a stop at Bodnant Welsh Food Centre to sample local produce, cheeses and treats. 4. STA Travel — This self-drive, Truly Peculiar Tour of Northern Wales will make stops at the longest place name in Britain and World Heritage sites. 5. Tauck — Visit the blissful gardens of Bodnant, enjoy a cooking demonstration and explore the medieval-walled town of Conwy on this 14-day tour of England, Scotland & Wales. Visit lonelyplanet.com/best-in-travel/regions to see the full Best in Travel 2017 list.